I love pinhole photography. The fact that people will take a gamble on a piece of film for months—or even years—strikes me as almost romantic, like a time capsule. 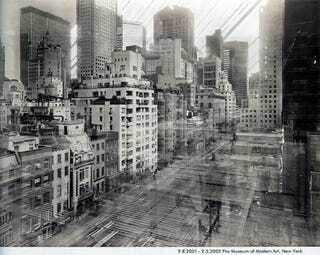 This longest-ever exposure shows 34months of New York life.